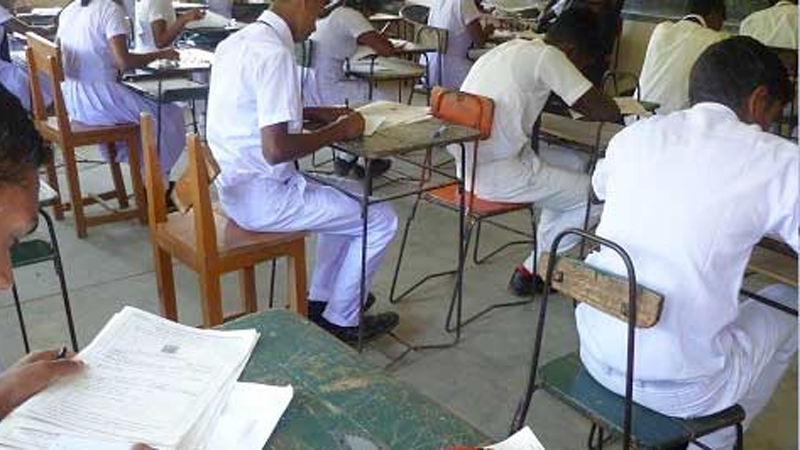 The Education Ministry is planning to hold both the Advanced Level Examination and the Ordinary Level Examination in December aiming at increasing the number of school days, Education Minister Akila Viraj Kariyawasam said. “The Ministry with the assistance of the Examination Department is engaging in forming a mechanism which would minimise the number of days deprived due to the holding of examinations separately,” he added. “As a general practise, the Advanced Level Examination is held in August while the Ordinary Level Examination is held in December. After holding both examinations, certain schools are closed for some days for paper marking. This has had an impact on the normal school education,” Minister Kariyawasam said. “With the new system, both examinations will be held in December with paper marking also done in December itself,” he said. He added that attention has been drawn on minimising the time taken to release results after holding examinations. By reducing the time for the release of exam results, they hope to pave the way for students to obtain a General Degree in their early twenties and a postgraduate or a doctorate by the time the student is around 25.